Green Brothers Jewelers was founded in 1946 in Bay City, Texas as a small watch repair shop by two brothers, Felton and Shelby Green. Over the years, the store gradually added jewelry products and services, eventually growing to become the premier jewelry destination for Bay City and the surrounding area. In 1976, sons of Felton, Allen and Gary, took over the family business. A second store was opened in Victoria, Texas, in 1983, and quickly became recognized for its superior quality jewelry and jewelry services. 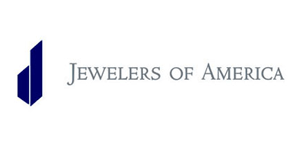 Today, Green Brothers Jewelers continues the focus of offering an unparalleled jewelry buying experience for our customers. Our products include diamonds, the latest designs in bridal and fashion jewelry, pearls, watches and more, and we remain focused on offering exceptional jewelry backed by superior service. Over the years, in addition to offering a full jewelry repair service, we have expanded our services to include custom jewelry design. With in-house CAD/CAM capabilities, we can truly help you realize that one of a kind ring, pendant, or bracelet of your dreams. Most importantly, at Green Brothers Jewelers, we understand that jewelry is, first of all, about you. It’s about helping you create those special moments for those people most important in your lives. Our business is all about helping you find that perfect ring, pendant, bracelet, or gift for that special moment to express your feelings for a loved one or friend. We are honored to help you fulfill those expressions of love, and hope that you will come visit us in one of our stores, or contact us online. 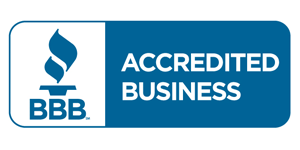 At Green Brothers Jewelers, we are committed to honesty, integrity, and a very high standard of ethics. We believe in treating all people with dignity and respect. We are here to serve you, our friends and customers. As a family run business with two locations, we continue to focus on offering the best value in diamonds, gemstones, and jewelry. We always back up the good values in jewelry that we sell with superior service. We are always working to earn your business. In today's world, there are many different qualities of jewelry available to consumers. We are dedicated to offering you a great quality product at a price to save you money. Honesty is very important to us, and we will always tell you exactly what your are buying, with full disclosure. We have a state of the art jewelry shop, complete with CAD/CAM design and manufacturing capabilities. 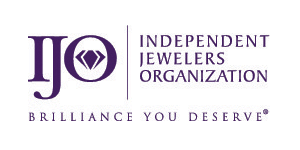 We have three jewelers on staff and offer a complete repair service for your jewelry. Additionally, we are always on the cutting edge. We are always looking for the latest and greatest ways to better serve you. We maintain two laser welders which greatly expand our custom design and repair capabilities. If you are an existing customer, you know us. If you are new to our store, or are a new online customer, we want to get to know you, and how we can serve your needs for our product and services. If you are ever in our vicinity, please stop in one of our stores in Bay City or Victoria.